The world of ecommerce is all about hogging the attention of potential customers. Sears, one of the largest online marketplaces, can ensure the biggest amount of visibility for your online Volusion powered store. 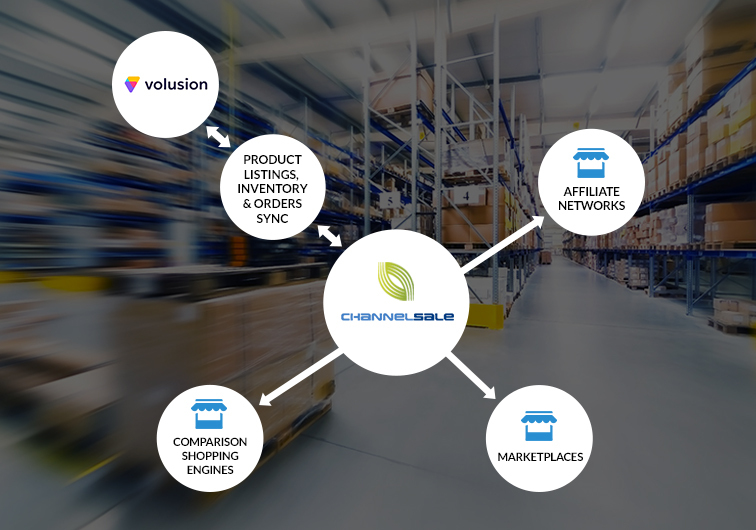 At ChannelSale, we have state of the art software management tools and marketing specialists who can in conjunction integrate your Volusion store with Sears and let it catch the attention of potential consumers in your target niche. Your target consumer base is scattered across multiple channels and you need a well-thought multiple channel marketing plan in order to draw the interest of your potential buyers to the wide array of products in your store. Your Volusion Sears integration can be effectively achieved, managed and maintained by our marketing experts and cutting edge software. Whether you want real time inventory management, wish to review the performance of the products in your stock or get feed optimization services, we can help you with the same. We can optimize online visibility for your Volusion Sears store. We can offer you seamless Sears automated product listings, take care of your over and under sales problems, manage your real time inventory and also provide you with a lucid picture of how your store products are performing, all within the minimum possible time. We can assist you in gauging the performance of each of your products, and help you to keep flexible cost structure across different channels. ChannelSale’s Volusion extension for Sears supports simple or multi-variation products / parent–child relationships. Even if you have varied products of multiple sizes, colors, materials, we have the solution! Bundled, kit or group products are also handled. Volusion to Sears granular level product category mappings pave the way for apt listing in sync with most appropriate product categories. Have variable pricing for Volusion and other marketplaces / shopping engines, or retrieve your Amazon pricing to be sent to other shopping engines or markup pricing over cost price. ChannelSale includes data for as many product attributes as available in your Volusion source feed while including custom fields you may require. Examples: Bullet point descriptions, search terms, video link, multiple warehouse inventory, gender, pattern etc. Our advanced Volusion plugin for Sears ensures error-free data entry and data transfer process. We can provide stock level synchronization, list the vast array of products quite easily, shipping and order tracking management services, manage more than one Volusion stores and do more with our expert services that can be customized significantly as per your specific situation. Above all, we can manage everything about your store and make sure that each step is performed according to Sears terms and conditions. When it comes to Volusion Sears integration, you will find ChannelSale to be up to the task and more. Call us today!